A food hall and bar has just opened in White City Place, W12, with regularly changing street food chefs serving up their best dishes. Open Mondays to Fridays (with Saturdays coming) from 12 noon, W12 Studios features traders curated by Feast It, each in situ for a couple of months or so. First up are two absolute crackers - Cue Point, serving gorgeous smoked and BBQ-ed meats and more, and The Piadina Project, fried chicken and flatbread stars best known for their slots at Victoria Park Market. See you there! "Open Monday to Saturday and with a capacity of 450, W12 Studios is a space to give emerging creatives an opportunity to be seen – from our kitchen, to our drinks, to our music programme. Our two revolving kitchens are constantly changing, rotating on a monthly basis. We have partnered with feast-it.com who ensure a constant supply of the best chefs, restaurants, street-food operators and emerging culinary talent that London has to offer. First on the line-up for the month of February is Cue Point, a multi-sensory barbecue experience founded by previous Head Chef of Smoke Stak, Joshua Moroney. Cue Point was established on a passion to create more than just amazing BBQ. They wanted to truly create, innovate and inspire the full range of their audience’s senses. They’ve taken British Barbecue to new heights, fusing it with an array of inspirations and experiences. 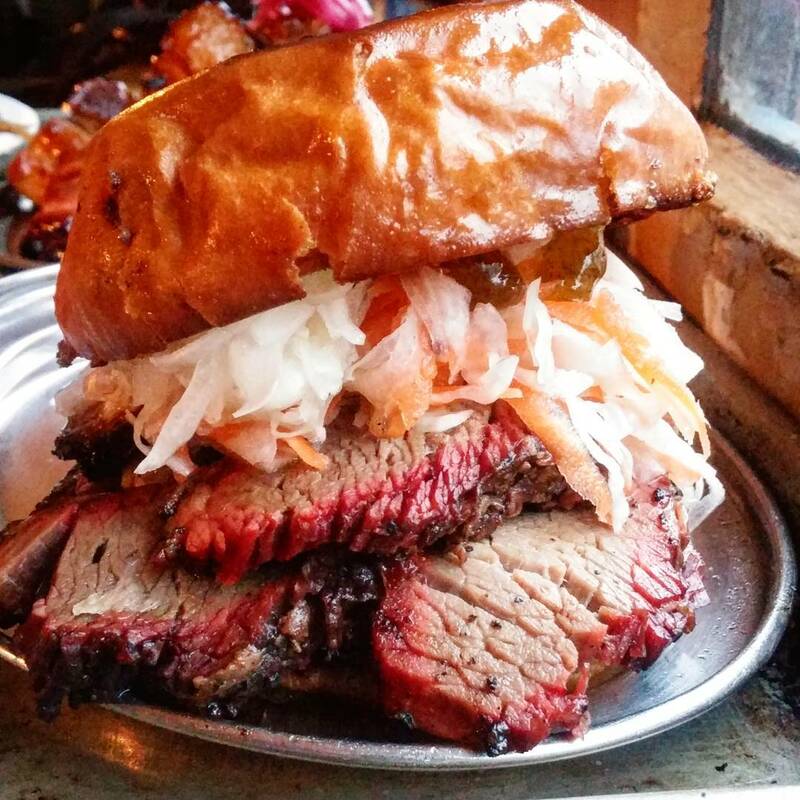 Expect 16hr oak smoked beef brisket served in a brioche bun, seared BBQ glazed belly rib and oak smoked pulled chicken. All served to eat in or take-away. 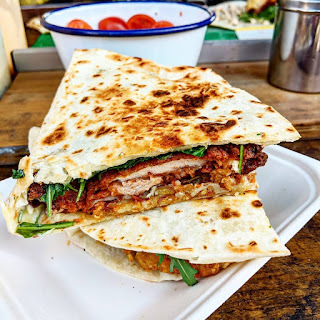 The Piadina Project offers handmade street food straight from Romagnola via Lincolnshire. ‘Piadina’ is a thin Italian flatbread, typically prepared in the Romagnola region. It was here that the owner, Jack Padoan, sampled his very first magical Italian flatbread that his grandfather, Gianni, had always spoken to him about at length. Sure enough, the flavours blew him away and he just knew that he needed to bring it back to the UK. The result? What’s hailed as ‘London’s best fried chicken flatbreads’. Fillings include buttermilk fried chicken, crispy hash browns, pancetta, Italian soft cheeses and pesto mayo to name a few."